He is online again! 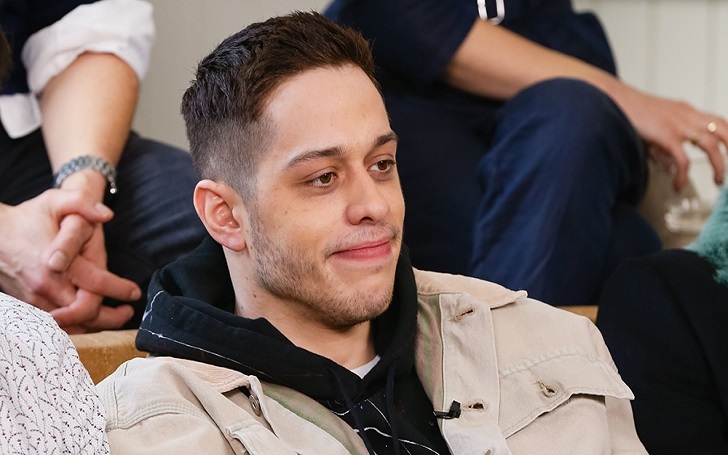 It's been five months since we haven't seen Pete Davidson active on Instagram and the Saturday Night Live star has returned to the social media platform. The television personality, 25, shared three posts within a minute on Tuesday, April 9. Two of them just showed blank images while one showed a glitchy animation of a childhood picture of him. In the caption, Davidson hyped up his comedy shows with John Mulaney later this month in Pennsylvania, Rhode Island and Maryland. According to the bio of Davidson's Instagram clarifies that the account is being run by Marcus Russell Price. Russell is a filmmaker and photographer who also works with Hannibal Buress and Amy Schumer. Davidson went offline from Instagram in December after he posted a troubling note to his account, two months after his split with Ariana Grande, ending the four-month engagement. He wrote at the time, "I really don’t want to be on this earth anymore."